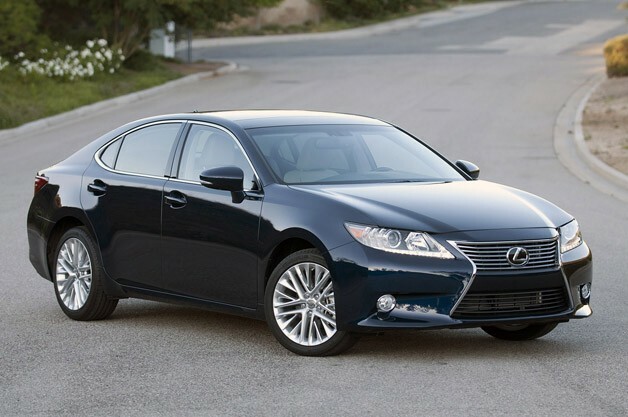 Who Wants $4000 Cash Back on a Lexus ES 350 in London? 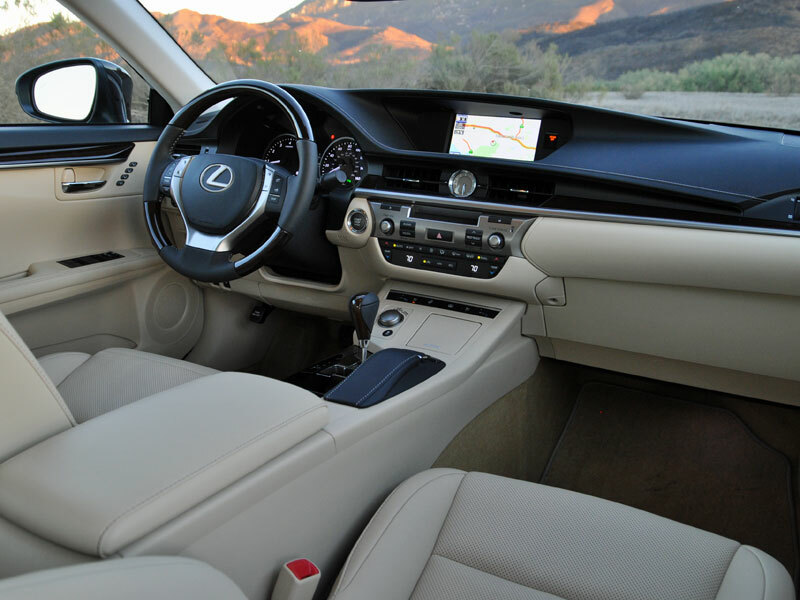 A stalwart of the Lexus model lineup, the 2015 Lexus ES 350 in London comes from a fresh 2014 redesign, and this luxury sport sedan is tailored specifically for drivers who value comfort, serenity, and refined amenities above all else. We’re sure that as a well-informed luxury car shopper, you know the Lexus ES promises uncompromising quality, but what you may not know is at the Lexus of London car dealership in London Ontario, our, Lexus specials could get you $4000 cash back on a new Lexus ES 350 in London. Do we have your attention yet? If you’re searching for the best deals on the impressive Lexus ES 350 in London, you need look no further than Lexus of London’s car dealership in London Ontario. Our Lexus specials will get you behind the wheel of the new or used Lexus you deserve at a price that will have you smiling all the way to the bank. Right now at Lexus of London, you can get $4000 cash back on a Lexus ES 350 in London, or, if a lower interest rate is more your style, enjoy 1.9% APR financing for 36 months. 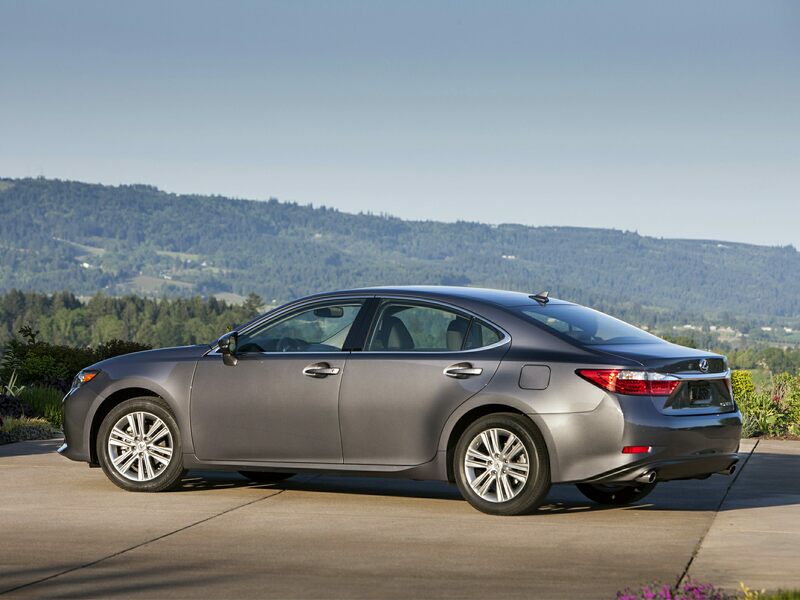 But hurry – Lexus specials like these won’t last long, and these come to an end June 1, 2015. Don’t delay! 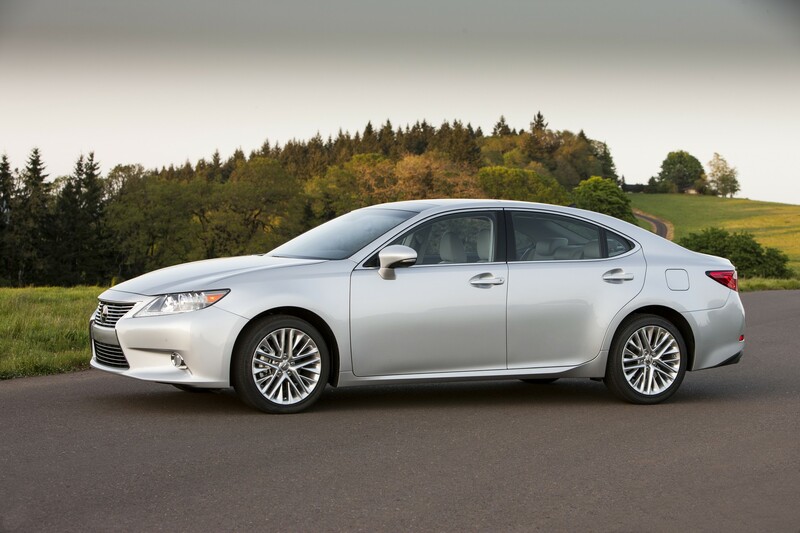 Test drive a Lexus ES 350 in London today at Lexus of London. Contact us online or call (888) 691-8453 for details. Shoppers looking for a great deal on a certified pre owned Lexus in Ontario should give Lexus of London a call. Not only are we the premier new Lexus dealer in Ontario, but we’re also the best source for a pre owned Lexus in Ontario thanks to our highly trained and dedicated team who carefully reconditions every used Lexus on our lot. 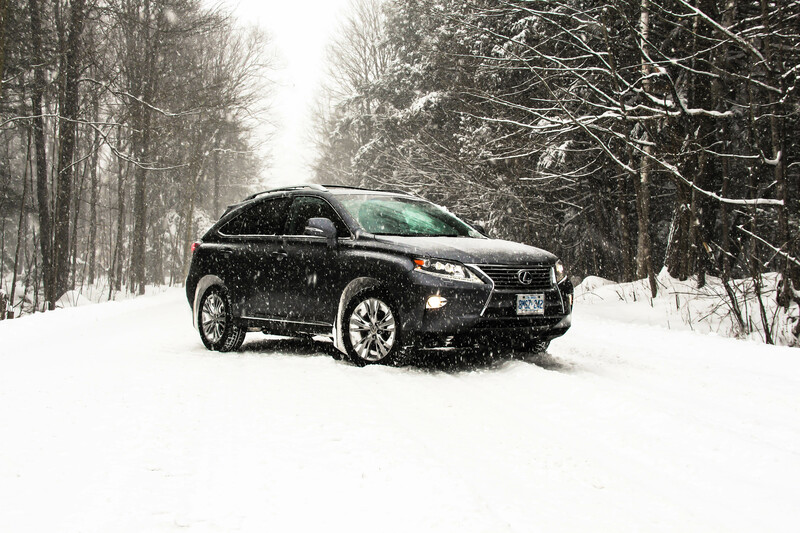 Plus, with constant specials on our inventory of Certified Pre Owned Lexus in Ontario, you’ll not find better deals on a used Lexus including the Lexus RX 350 and Lexus ES 350 than right here at our Certified Lexus Dealer in Ontario. Buying a used Lexus in Ontario from Lexus of London means you’re getting the closest thing to a new Lexus possible thanks to the reconditioning done by our factory trained technicians using genuine Lexus OEM parts, and backed up by the exceptional Certified Pre Owned Lexus Ontario warranty. Right now at Lexus of London you can get into a 2011 Pre Owned Lexus ES 350 for as little as $22,800, or a 2010 pre owned Lexus RX 350 for as little as $28,000. Check out our pre owned Lexus specials for more details, but hurry – deals like these will not last long! Ready to Purchase Your used or Certified Pre Owned Lexus in Ontario? Whether you’re looking for a used car, Certified Used Lexus, or Executive Demo Lexus, Lexus of London is the premier certified Lexus dealer in Ontario. We treat our used cars with the same care and professionalism as our new cars, so we can deliver the same superior experience with a used luxury vehicle in London as you’re accustomed to finding in a brand new Lexus. Plus, our unique inventory option of Executive Demo cars helps us deliver the best of both worlds: new model year vehicles with the latest amenities, with great new car warranties in-tact, in great condition and with low km’s — all at a price that’s unbeatable. Test Drive Your Next Certified Pre Owned Lexus in Ontario Today. Contact us online or call us at 1 (888) 691-8453. The process of redesigning one of the most popular Lexus products is a daunting one, but that’s exactly what Lexus did when they refreshed the best-selling Lexus ES sedan for 2013. Lexus’ sweeping changes made a long list of improvements to the already impressive ES, but they didn’t stop with the regular ES 350 – Lexus’ redesign also included the addition of a new hybrid variant, the Lexus ES300h, and set a new, higher standard for hybrid vehicles. If you’re looking for an extremely fuel efficient luxury vehicle that doesn’t sacrifice power, take a Certified Lexus ES350 in Ontario for a test drive. We think you’ll find that its driving experience is on par with any gas or diesel powered luxury vehicle, and a cut above any other hybrid you’ve ever driven. As soon as you sit in the driver’s seat of your used Lexus ES350 in London, you’ll know that this is a hybrid unlike any other. The power delivery from its hybrid powertrain is robust and seamless, and the addition of the CVT (continuously variable transmission) not only assists with fuel economy, but makes this the smoothest driving hybrid you’ll find. The Pre-Owned Lexus ES350’s combustion engine kicks in automatically when it’s needed, and the Certified Lexus ES350 in Ontario transitions between modes completely seamlessly, giving you power for acceleration when you need it, and fuel-saving electric driving when you don’t. Are you ready to drive home in one of our many pre owned Lexus ES 350’s in London, Ontario today? Don’t wait another minute: contact a Lexus of London sales representative now. Here at Lexus of London, DealerRater.com’s #1 Lexus Dealer in Canada, our professional sales staff is equipped with all the knowledge and expertise you need to drive home in any of our many certified used Lexus vehicles that feature the packages and options best-suited for your lifestyle, with all the benefits of driving Lexus Certified Pre-Owned vehicles. Contact us online or call (888) 691-8453 to learn more about Lexus Certified Pre-Owned, and discover your next Lexus in London, ON, today. Like its gas-only counterpart the ES 350, the new 2014 Lexus ES 300h offers the same spacious interior and pleasant ride – but thanks to its four-cylinder hybrid powertrain (replacing the 350’s V6), you’ll get around town in near-silence and on a fraction of the fuel. With an EPA rating of 17 km/l, we think the 2014 Lexus ES300 will more than measure up to drivers’ expectations in a hybrid luxury sedan, without sacrificing the comfort or power you’ve come to expect from a Lexus. Are you ready to drive home in a model from our expansive inventory of 2014 Lexus ES300 hybrid luxury cars in London, Ontario today? Don’t wait another minute: contact a Lexus of London sales representative now. Here at Lexus of London, DealerRater.com’s #1 Lexus Dealer in Canada, our professional sales staff is equipped with all the knowledge and expertise you need to drive home in any of the 2014 Lexus vehicles that feature the packages and options best-suited for your lifestyle. Ever since it was the first luxury auto producer to release a hybrid model almost ten years ago, Lexus has strived to push the forefront of technology. 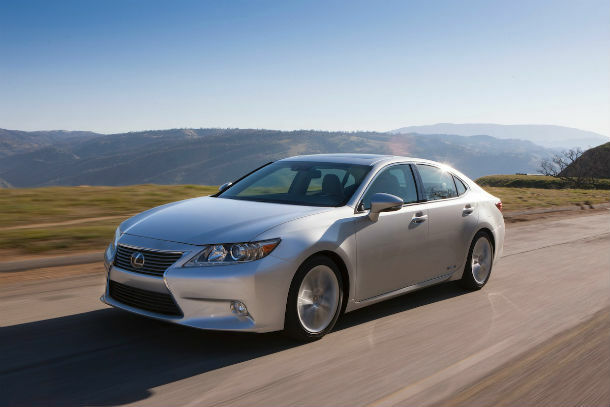 They’ve continued this tradition in the new 2014 ES300 by including the Enform distraction reduction system, which expands upon previously available connectivity packages in a whole new way. 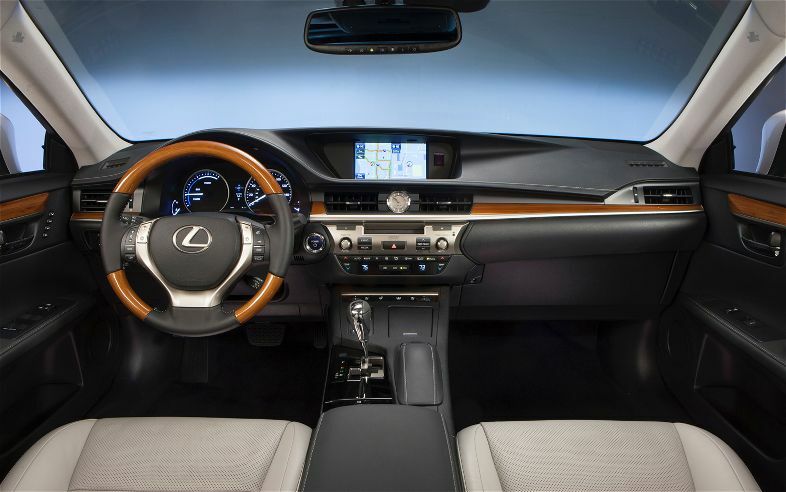 The Enform system in the new 2014 Lexus ES 300 provides London drivers with an unrivaled level of technological assistance. Fully compatible with Bluetooth, its Destination Assist makes it possible to plan trips and organize destinations without being anywhere near your ES300. The Enform App Suite provides voice-enabled apps that make it easy to perform a variety of functions, such as browsing the web via Bing, making reservations through OpenTable, and checking in on Facebook Places. Its Navigation System ensures that you get where you’re going, hands-free. And the Mark Levinson Audio Package delivers a level of audio quality that is practically unrivaled. The Enform system also offers subscription to the Lexus Safety Connect system, which keeps you connected to the Lexus response center 24 hours a day, 7 days a week. And when you purchase and new Lexus – including the 2014 Lexus ES 300 in London – you receive a complimentary one-year subscription. So contact Lexus of London online, or call (888) 691-8453 to schedule a test drive of the new 2014 Lexus ES 300 in London today.